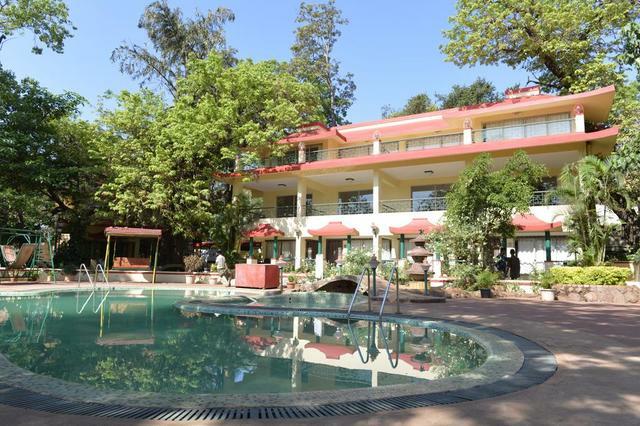 One of the most scenic resorts in the Hills of Matheran, Horseland Hotel is a must visit for all travel goers and holidayers. 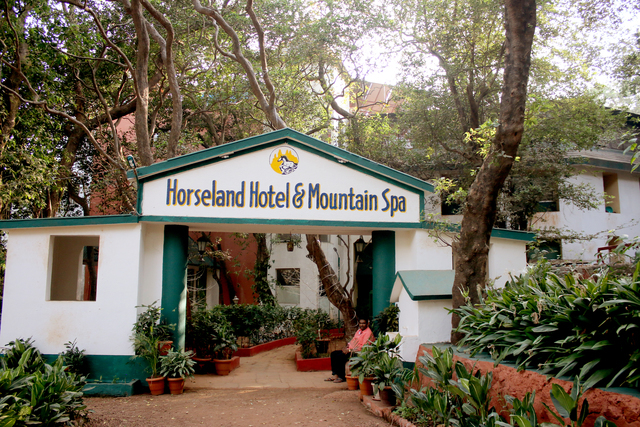 Maintaining the perfect balance between Economy, activity and Luxury, Horseland Hotel and Mountain Spa is the vacation home for everyone. 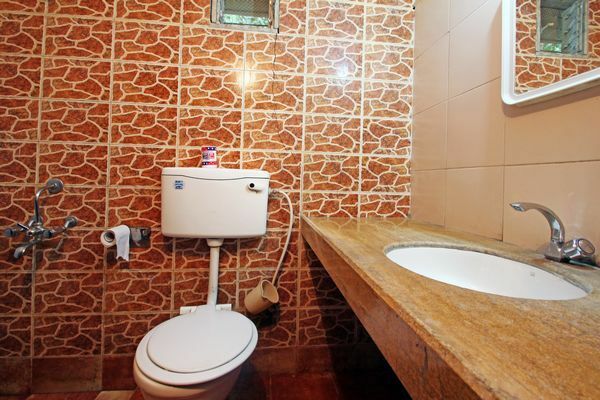 Child-Friendly? 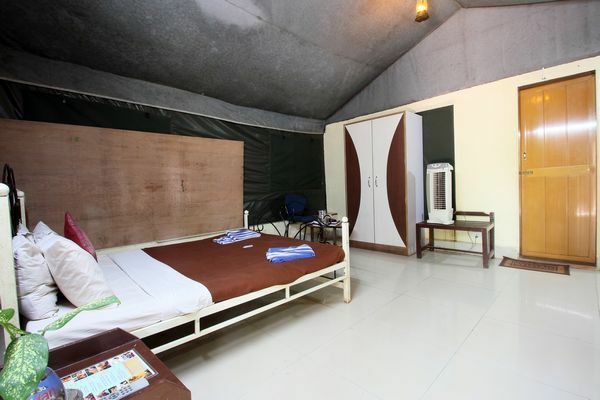 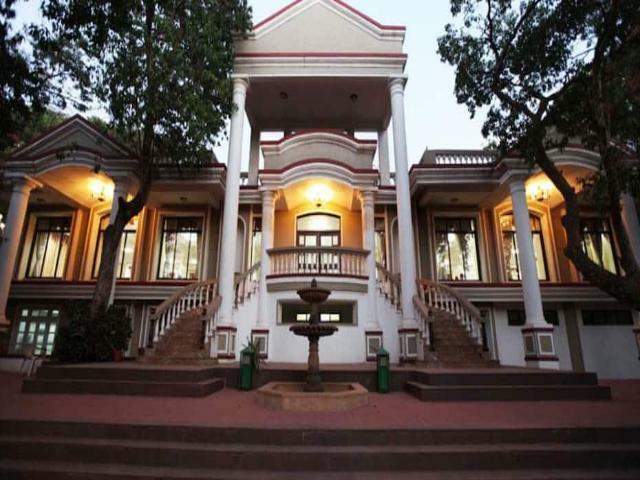 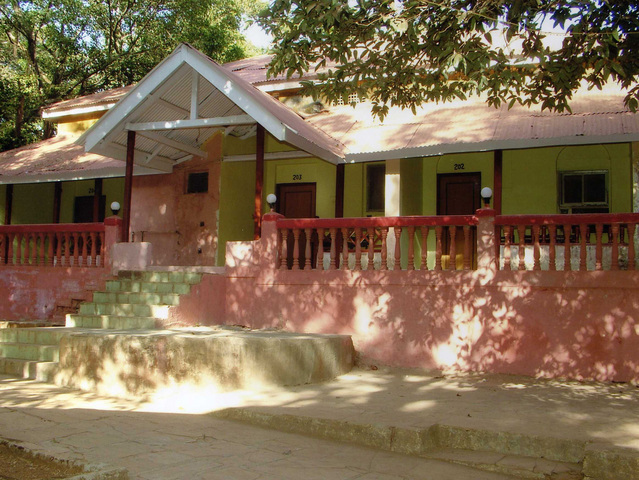 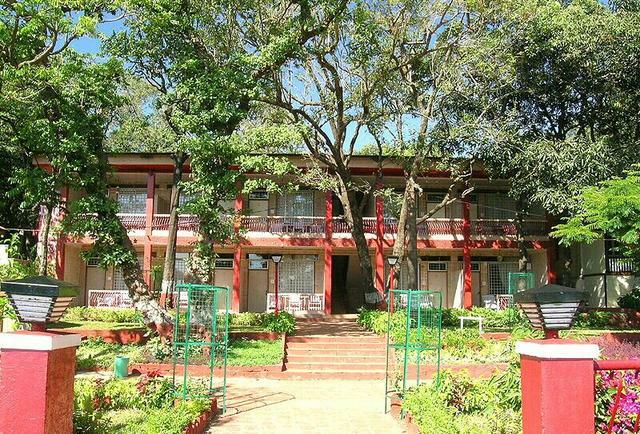 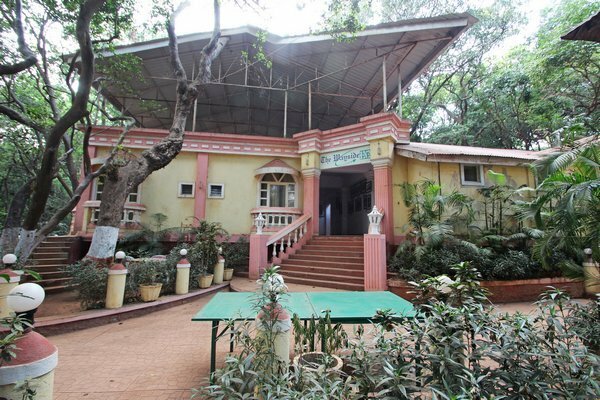 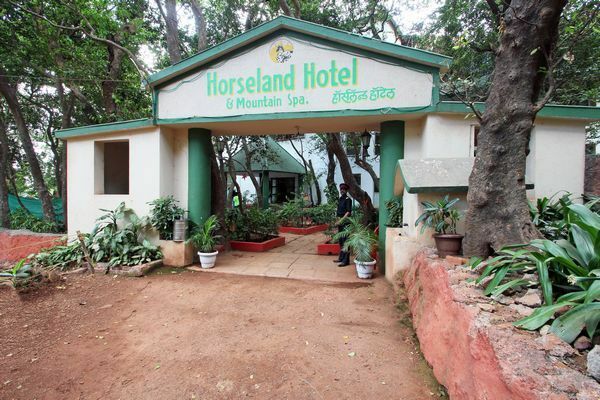 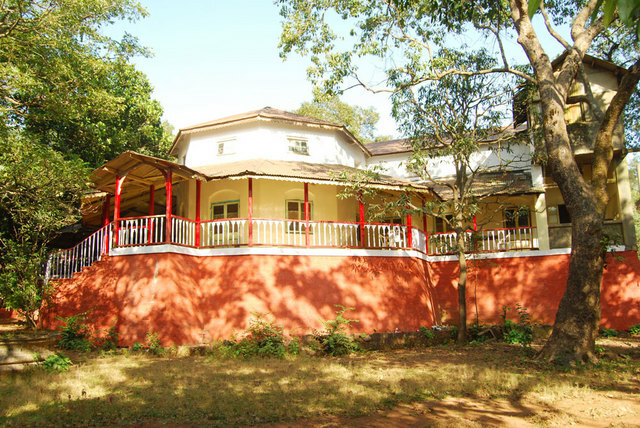 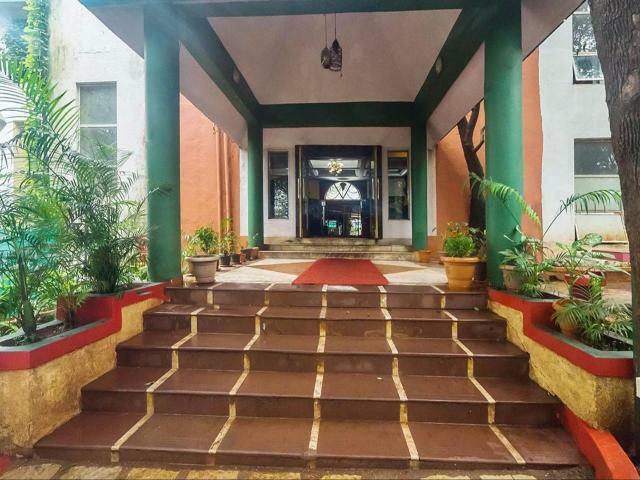 Horseland Hotel and Mountain Spa is the oldest resort in Matheran and is located 54.2 km from the railway station and 69 km from the bus stand. 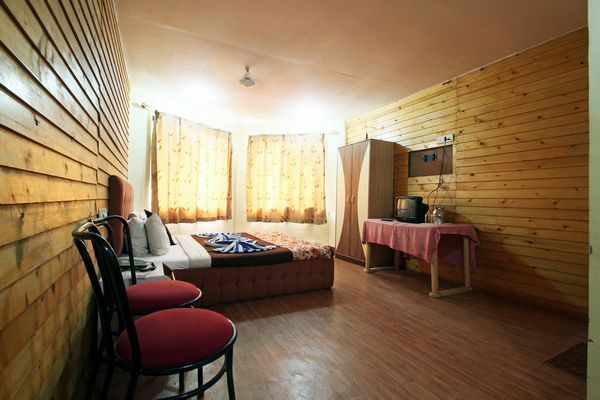 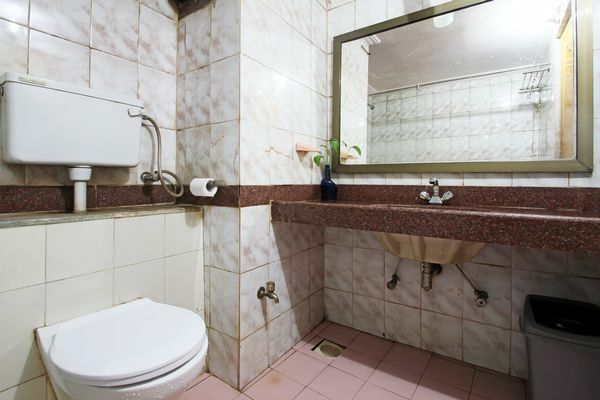 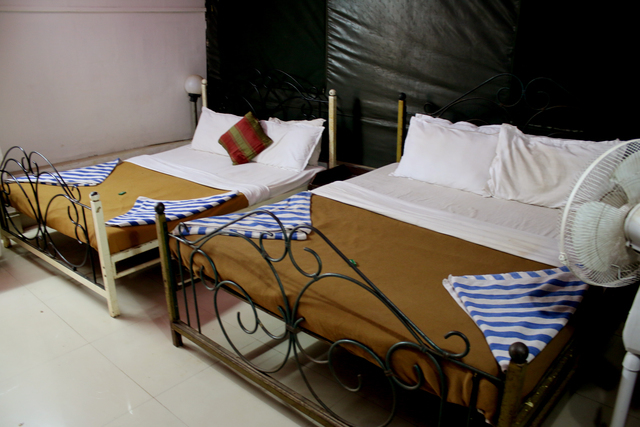 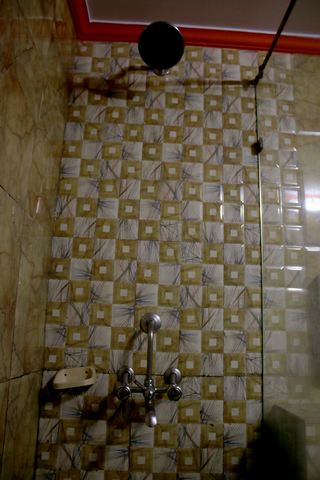 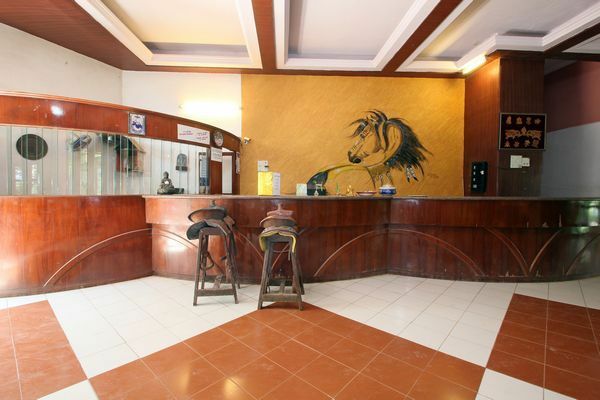 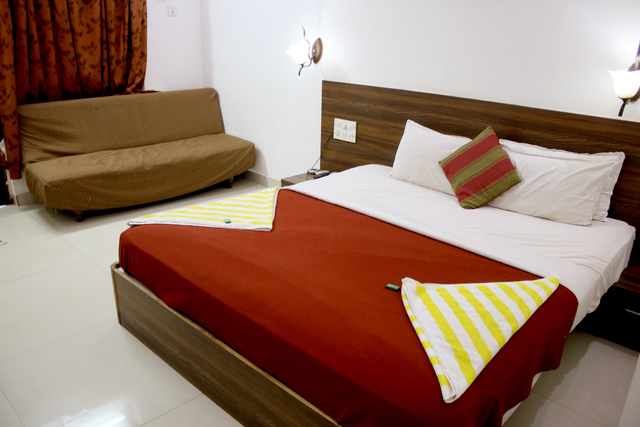 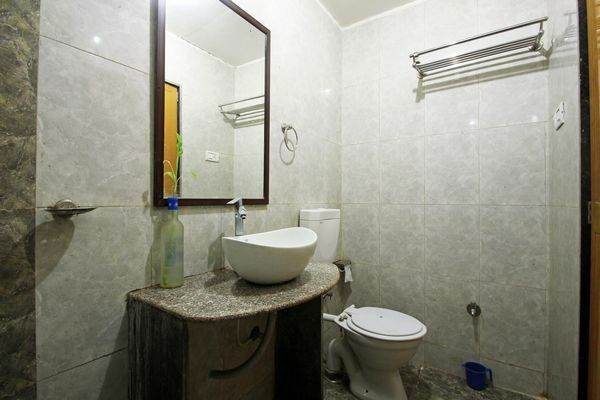 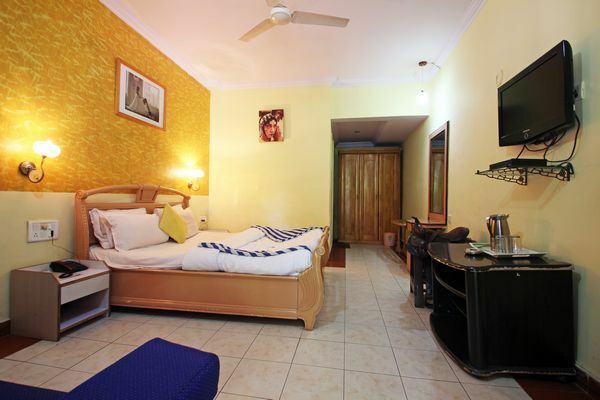 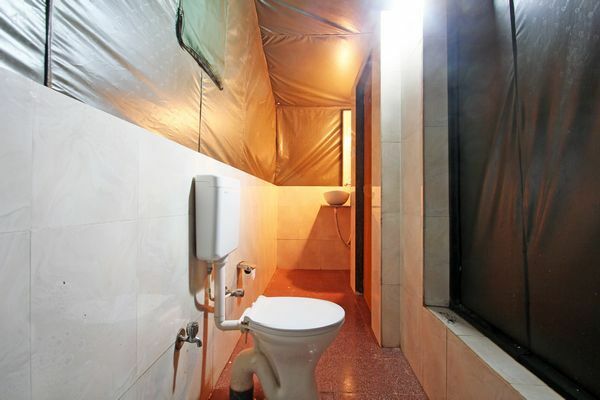 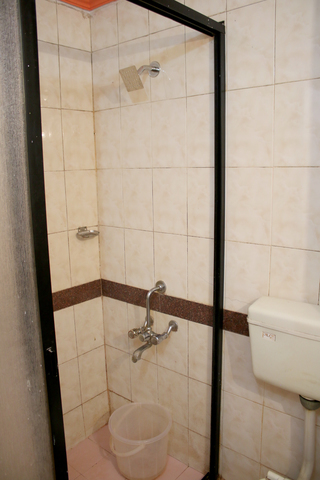 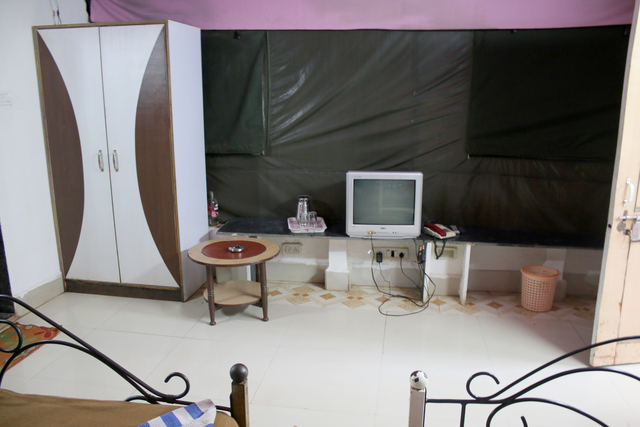 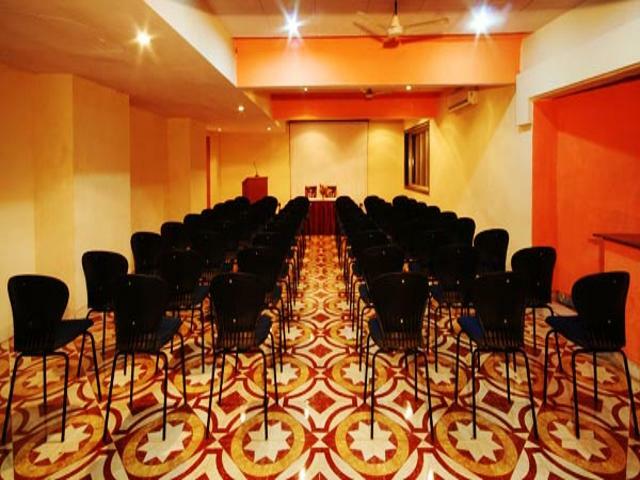 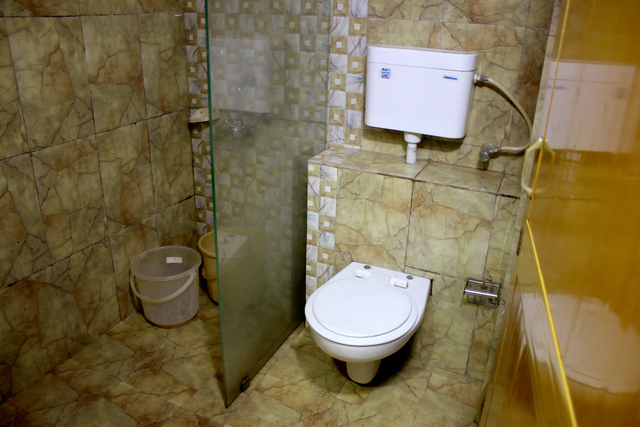 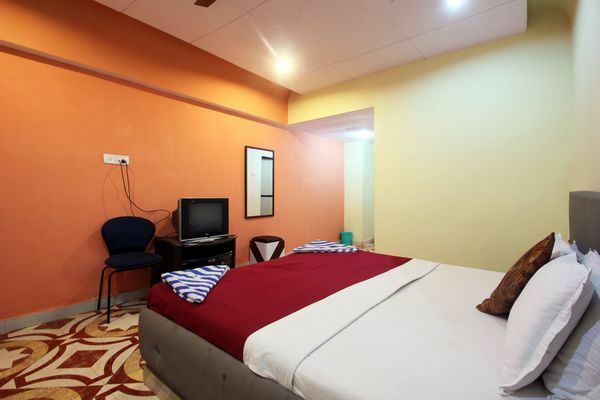 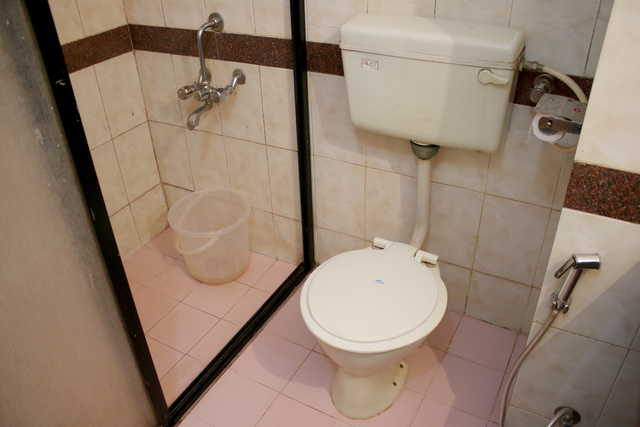 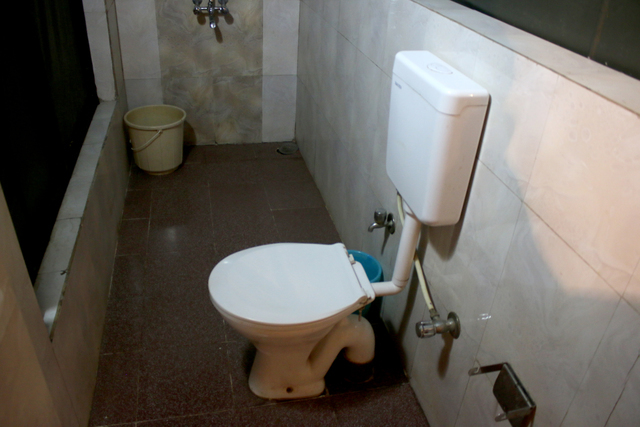 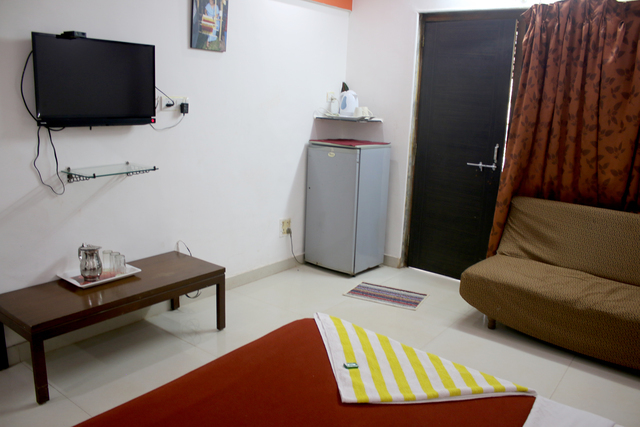 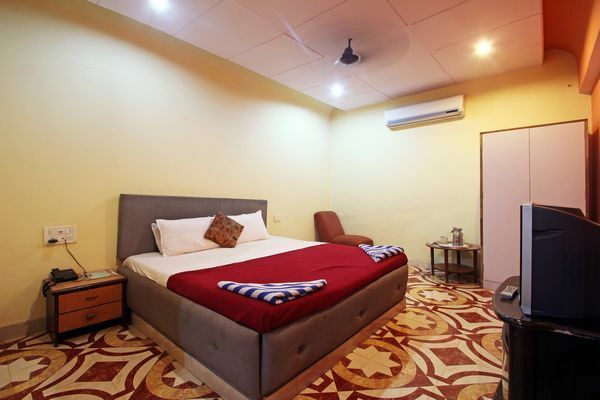 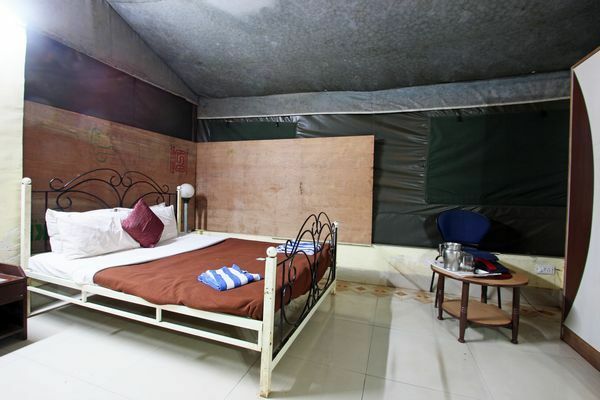 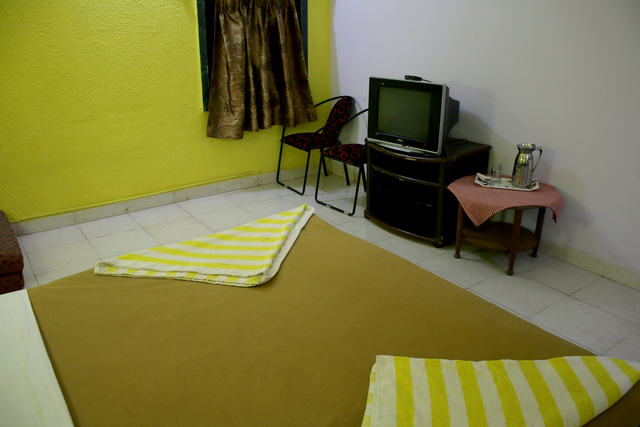 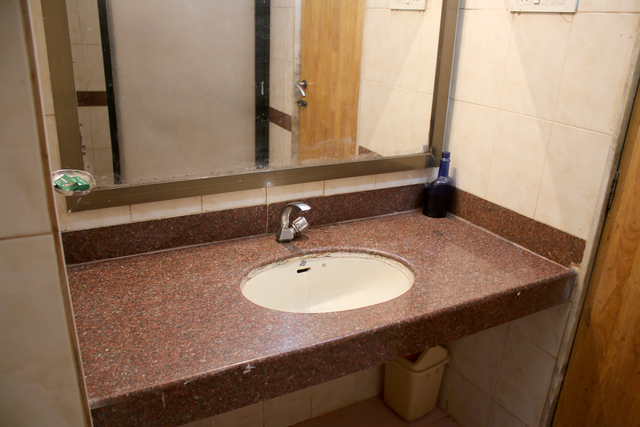 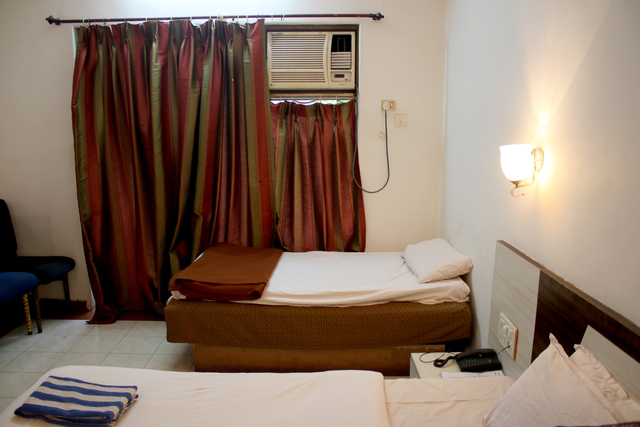 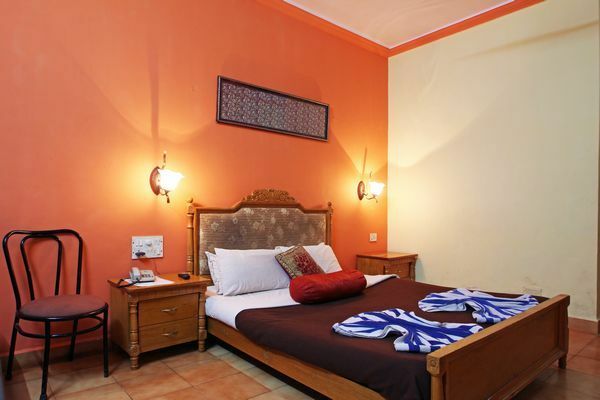 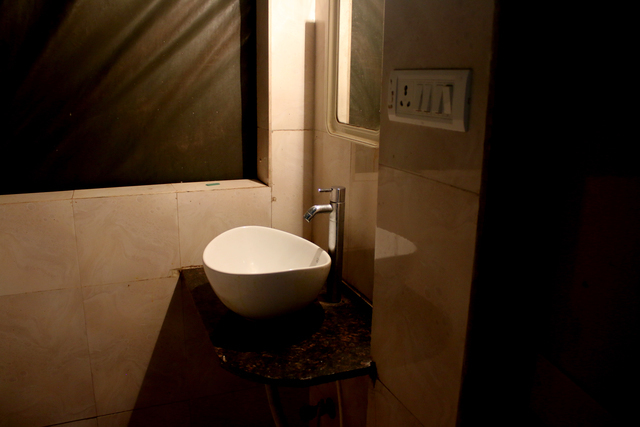 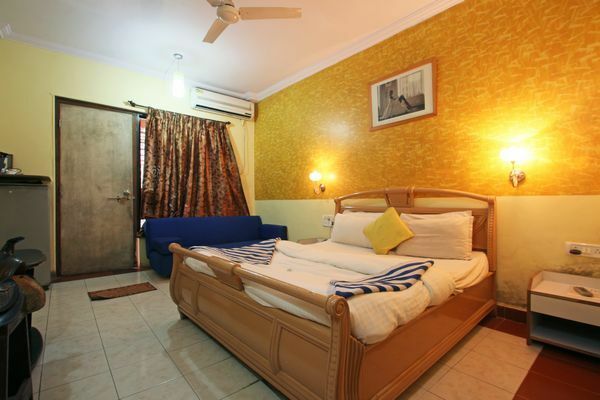 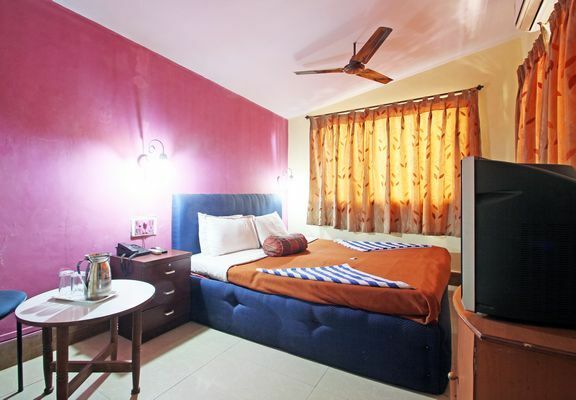 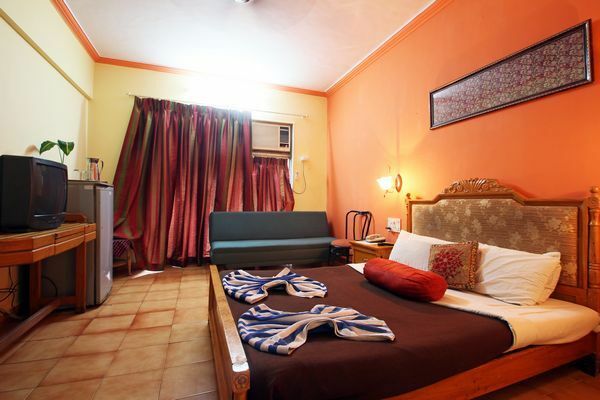 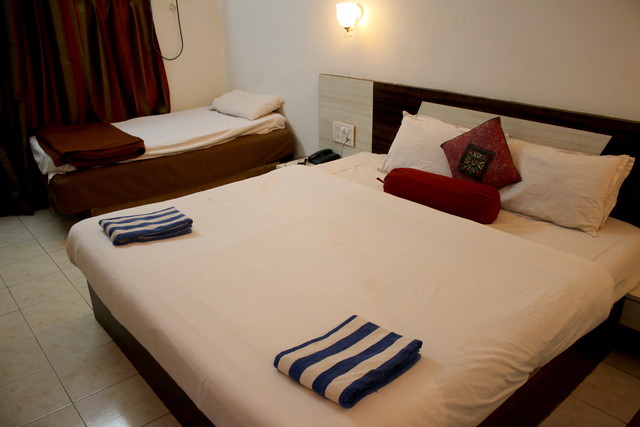 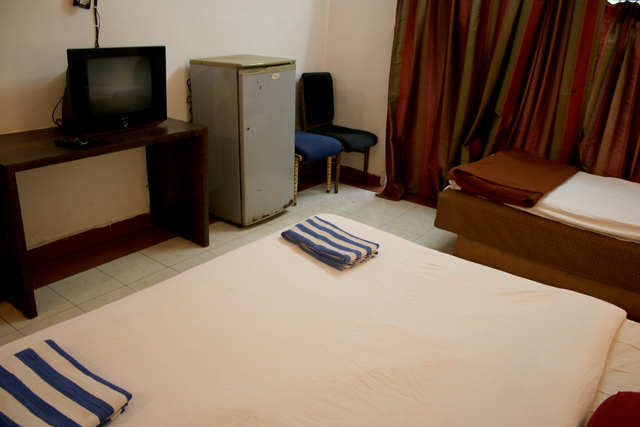 The hotel provides well-appointed and tastefully decorated rooms, which are equipped with amenities such as toiletries, showering area with hot and cold water and cable television. 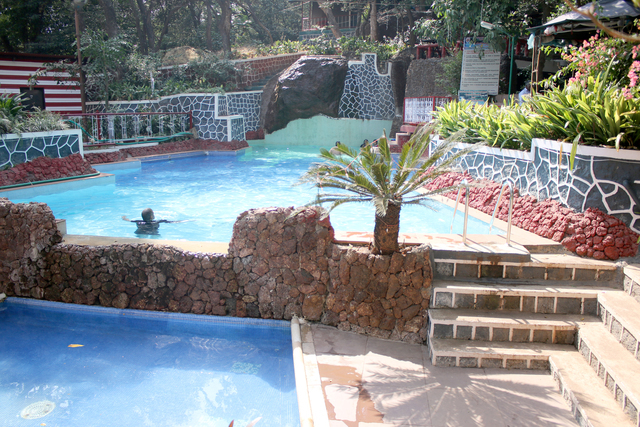 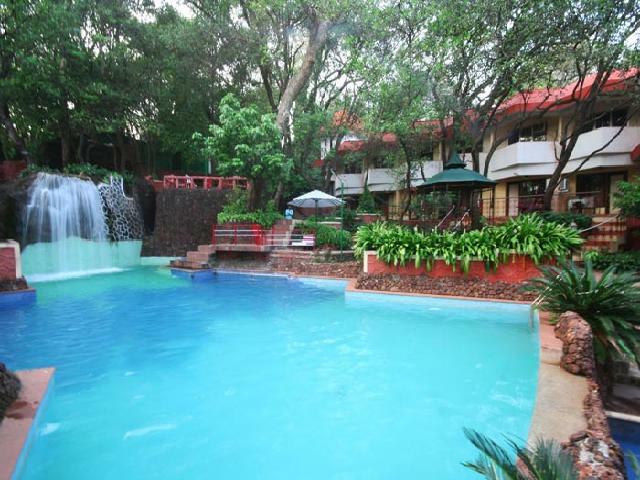 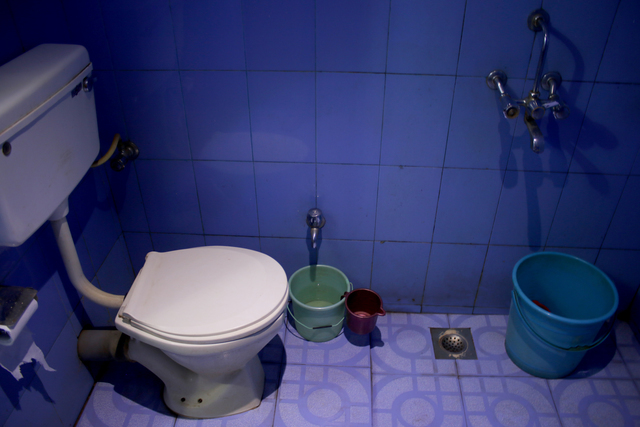 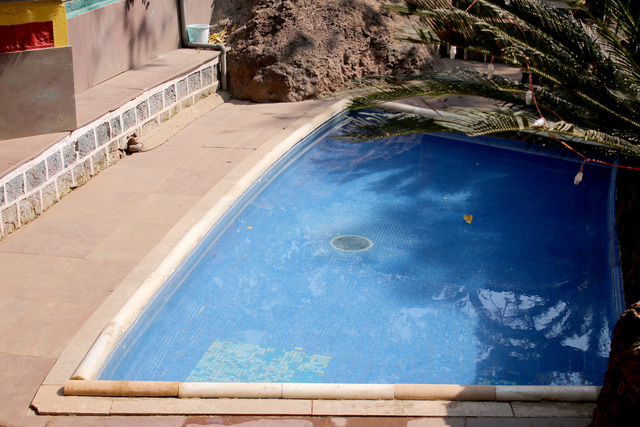 Other facilities provided by the hotel are a Jacuzzi, kids' pool, swimming pool and parking facility. 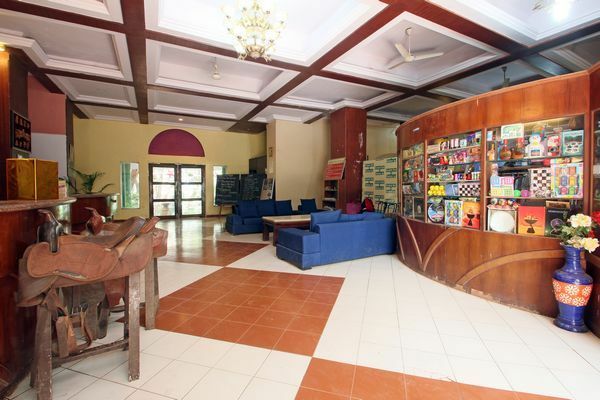 There is even a casino for guests to try their hand at a game of cards. 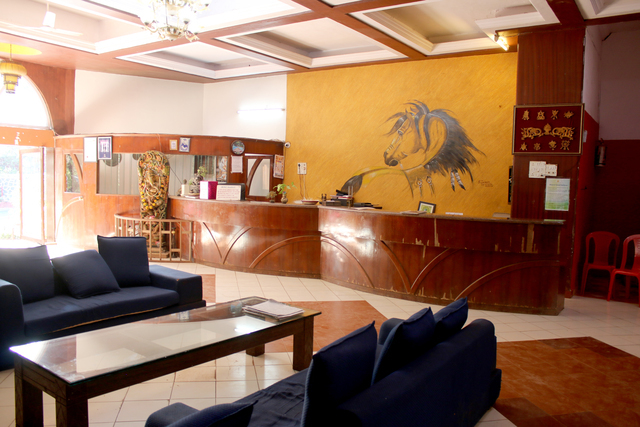 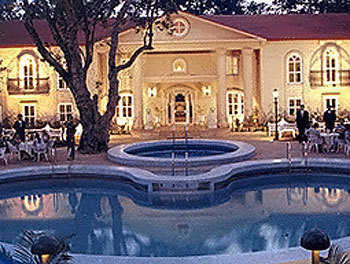 The hotel also has a billiards table, spa and wellness centre, entertainment for children and outdoor activities. 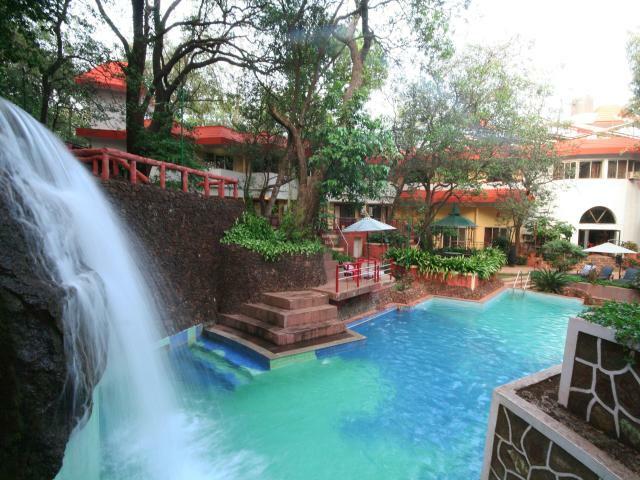 The outdoor pool has a gorgeous artificial waterfall. 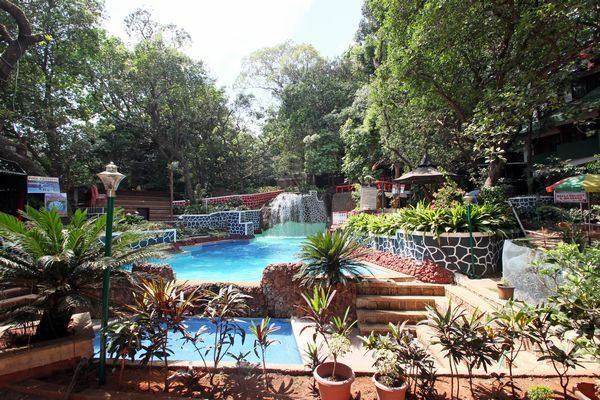 The lush green compound is populated with ducks, rabbits and local monkeys and is a great treat for kids. 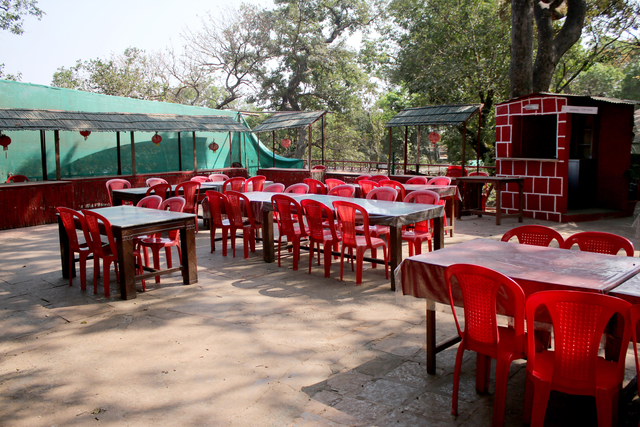 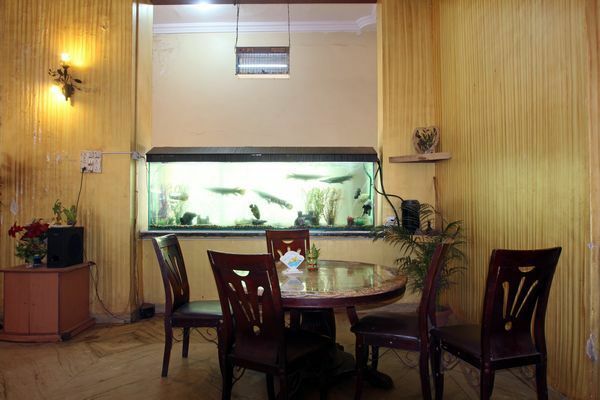 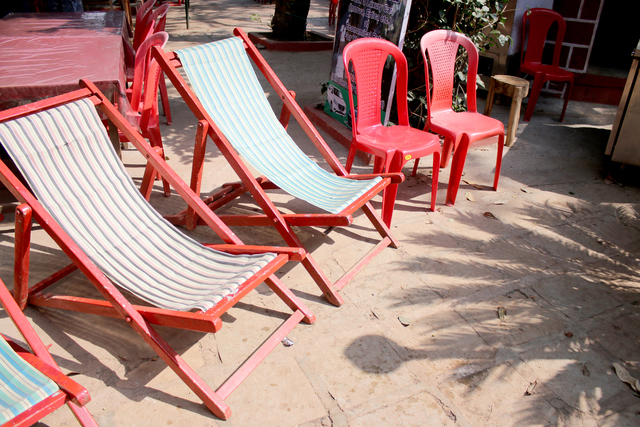 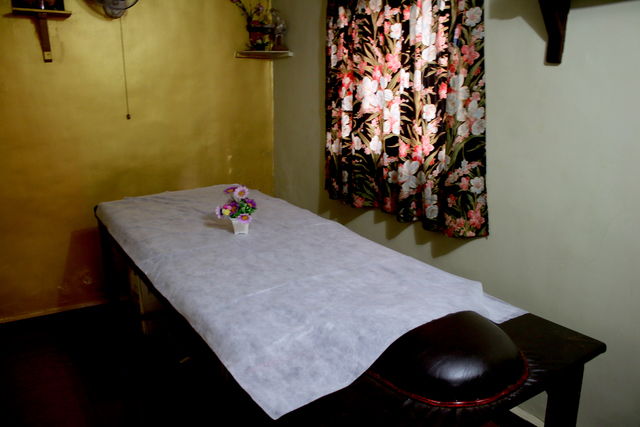 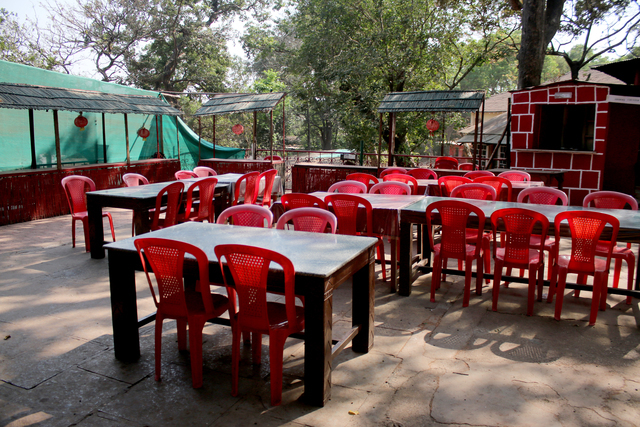 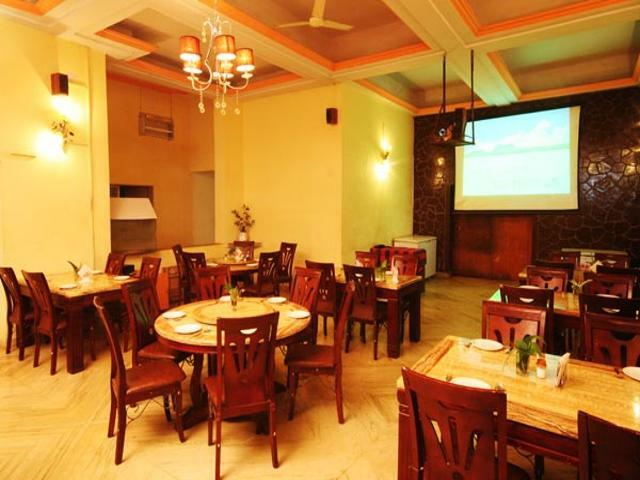 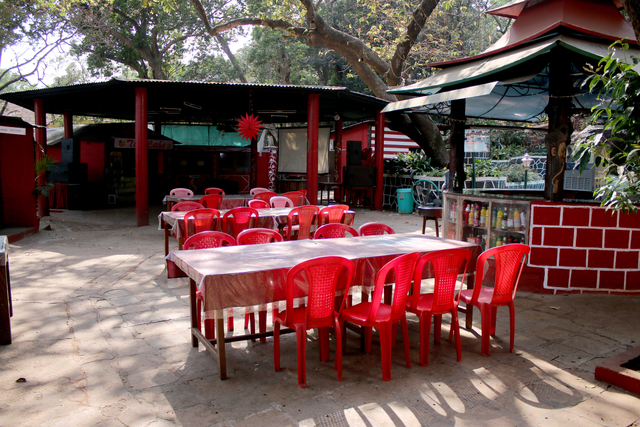 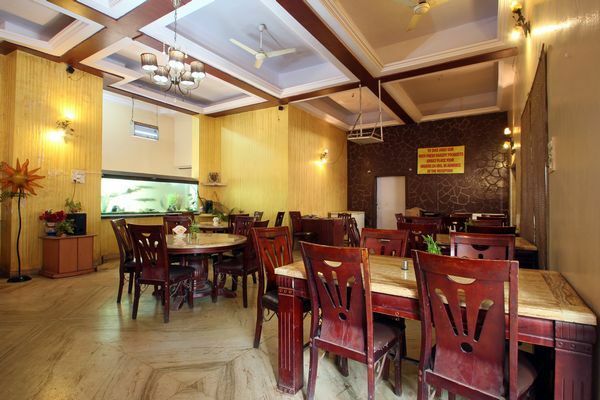 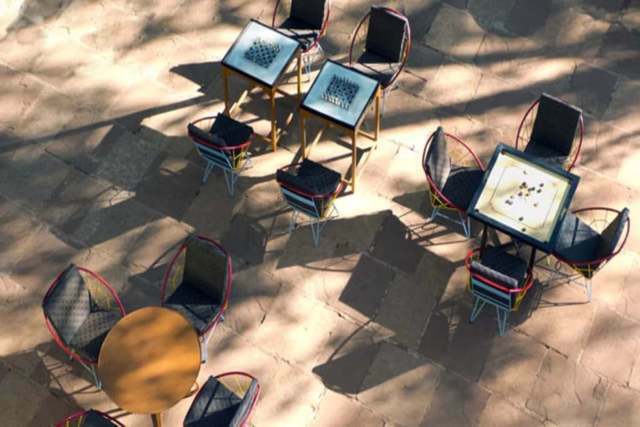 The restaurant provides a garden dining option, which serves Parsi specialities.